If your home needs repairs when water emergencies like pipe bursts or flooding occur, 911 Restoration Greensboro is the fresh start company that you can turn to for top quality water damage repair and restoration. Whatever the water damage situation you’re faced with, our water damage Summerfield flood removal technicians will be making every effort to give your home a fresh start through repair and restorations. If it’s immediate action you need, our water damage Summerfield leak repair experts will respond to your concern within 45 minutes of your emergency call. Our lighting fast response will ensure that any further complications and harm to your home are averted. Day or night, our water damage Summerfield team is available 24/7/365 to provide you with the necessary professional assistance. We will be there on the day you need that leak patched up. We have almost four decades worth of experience in helping homeowners deal with various water damage situations. Overtime, exposure to water and moisture can lead to major structural issues within your home. When any of those emergencies do occur, the best decision is to call our water damage Summerfield team and allow us to make your home look good as new. A toilet overflow can occur out of nowhere for a number of reasons. This could be caused by problems with your plumbing system or flooding and pressure build up in Summerfield’s sewer system. Sewer water carries all sorts of filth that can cause severe damage to your property and can spread all kinds of disease. Our team will be wearing with protective hazmat suits that will protect our team as we work on the problem. We’ll be repairing any plumbing issues we detect and our IICRC certified water damage Summerfield flood extraction technicians will use state-of-the-art drying tools to extract sewer water and remove excess moisture from your home. To decontaminate and deodorize your home, we will use industrial strength cleaning solutions that will thoroughly kill any bacteria without causing any further damage. To protect your home further, we’ll also check for and remove any signs of fungal growth. 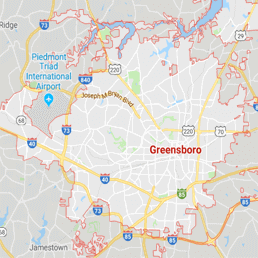 With our meticulous approach to water damage repair and restoration, the water damage Summerfield technicians from 911 Restoration Greensboro are the experts that can best handle all of your water emergencies. Whenever you need help, make sure you call the fresh start company today!